Founded in 1754, Bedford County is rich with human and natural history. Located partially in the Blue Ridge Mountains, the area ranges from 4,200 feet in elevations down to Smith Mountain Lake, which has the largest shoreline in the state exceeding 500 miles. One of the major attractions is the National D-Day Memorial which pays tribute to the fallen soldiers of this great WWII battle. The area lost more soldiers per capita than any other community in the U.S.
Other major attractions are Thomas Jefferson's summer home, Poplar Forest, dating back to the early 1800s. And then there's the Peaks of Otter, a poplar mountain destination on the Blue Ridge Parkway and near the Appalachian Trail with lake, lodge and surrounded by nearly 6,900 acres of National Park land and nearly 21,000 acres of National Forest. The county is blessed with other attractions such as wineries and vineyards, one of the state's largest Artisan Trail with nearly 90 members, many bed and breakfasts, mountain and lake vacation homes, and unique restaurants. There are many public parks with infrastructors supporting sports, hiking and nature. Nationally known photographers and videographers come to the area to capture wildlife on film. With over 250 years of history, the historical associations and museum attract tourists from all of the world. Agritourism is very strong due to the agriculture being the largest industry in the area. Another major annual destination is the Johnson Orchards Horse and Hound event where visitors from multiple states enjoy apples, wine tasting, artisan crafts and horse events. 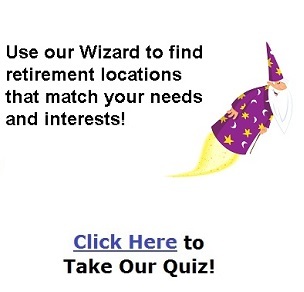 So why is Bedford County a great place to retire? We have among the lowest taxes in this region of the state, great school system, very good transportation system, moderate climate and a poplulation of only 77,000 in the county and town of Bedford. The town is nestled half way between two major cities, Roanoke and Lynchburg. Two airports are located 30 minutes from the town. Our area is a friendly, Southern community that loves life! AWith a visit to the 10,700 sq. ft. Bedford County Welcome Center, people interested in retiring here will learn about the year-round events and activities. Centerfest, a 30+ year downtown event, attracts thousands of people in this region to enjoy the harvest festival, artisan offerings, entertainment and food. The Bedford County Fair drew 14,800 people from the region for 3 days. The Artisan Trail has several multiple trail stops throughout the year that range from art studios, galleries, theatrics and woodworking to blacksmithing, hand-woven apparel, wood carvings and handmade pottery. For history lovers there are events and destinations year-round to see such as Thomas Jefferson's summer home, Poplar Forest, which reveals the inner-man. The Peaks of Otter at 4,000 ft. elevation was the first tourist destination with hiking, sight-seeing and photography are a must. The county has some of the best hunting and fishing in the state. It boasts to be either #1 or #2 in annual deer harvest and nearly that well in wild turkey harvest statewide with bear populations soaring. Trout streams are numerous with good catches and Smith Mountain Lake being one of the premier Stripped Bass fishing locations in Virginia. Then there's Agritourism with 4 and 5-generation farms that offer tours, family events, pick-your-own. The Bedford Wine Trail is comprised of 6 wineries from the mountains to Smith Mountain Lake. Apple and peach harvesting events are a major draws every year that include many family activities. Ranking #7 statewide, the equestrian industry has over 6,000 horses with many annual horse events. This includes draft horses and many, many horse riding breeds. The Bedford County Fair is one of the largest annual events with horse and livestock activities, 4-H and FFA judging contests, canned food contests, midway rides, antique car show and artisans showing their wares. The Bower Center is the towns art and culture center where art, music and drama events are held year-round. The Sedalia Center is the art, music and culture center in the county with a mountain flare. The winning combination of these two centers attract people from all over the Eastern Seaboard. The Bedford County Library System offers the public many locations throughout the town and county. History lectures, bluegrass bands and geneology events are held at the Bedford Museum and Geneological Lbrary. Presently there is bus transportation from Bedford to Lynchburg and Roanoke. There are current efforts to establish an Amtrak rail stop in the town of Bedford. If established, Bedford will have quick access to Washington, D.C. and on to Boston.There are highways passing through the county, all intersecting in the town. Bedford Memorial Hospital is located in the town of Bedford. It is part of the Centra Health Care System, a well respected organization known for it's cancer treatment technology. The hospital partners with several community organizations and teams up with The Bedford YMCA with thie fitness program. Only 1 hour away is the VA Hospital located in Roanoke. Jan 24.9 F° 34.5 F° 44.2 F° 3.5 "
Feb 26.1 F° 37.3 F° 48.4 F° 3.2 "
Mar 34.0 F° 45.9 F° 57.8 F° 3.8 "
Apr 42.3 F° 54.8 F° 67.3 F° 3.8 "
May 52.3 F° 63.3 F° 74.3 F° 4.6 "
Jun 60.7 F° 71.3 F° 81.8 F° 4.2 "
Jul 65.1 F° 75.7 F° 86.2 F° 4.5 "
Aug 63.1 F° 74.0 F° 84.8 F° 3.5 "
Sep 56.8 F° 67.5 F° 78.1 F° 4.0 "
Oct 44.9 F° 56.8 F° 68.6 F° 3.5 "
Nov 35.3 F° 47.0 F° 58.8 F° 3.2 "
Dec 28.3 F° 38.6 F° 48.9 F° 3.1 "
Moderate climate with annual rainfall average of 41"-43". Not known for natural disasters except for small stream flooding during unusually heavy rain storms. Condos Over 50 Communities Our community is known for having adequate housing ranging from affordable to multi-million dollar housing. 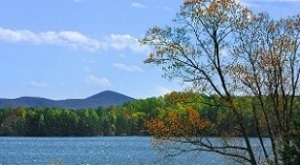 The higher-end housing communities are located in the eastern part of the county, Forest, VA and at Smith Mountain Lake in the southern part of the county. There are many RV parks located in the lake area. A planned development, Harmony, on the eastern edge of the town will include single-family, condos, apartments and townhouses. The development's infrastructure is already completed and development will poceed once the national economy improves. Home care Senior center Visiting nurses Since our county is a poplar retirement community, there are many offerings for senior citizens to maintain their style of comfort. This is a volunteer community! There are so many civic clubs/groups and opportunities that donate their time for the betterment of society. Many of the tourism event profits are donated to the needy. Organizations such as The Christian Ministries and churches offer food and clothing to the elderly and the underpriviliged year-round. The Bedford County Welcome Center has more than 30 dedicated volunteers that greet the 36,000+ visitors annually. Last year the center's volunteers dedicated 4,015 hours of service. Many of the clubs such as the Bedford Woman's Club, the garden clubs, Lions Club, Ruritan Clubs and Rotary Clubs (to name only a few) give thousands of countless and unselfish hours to the community.